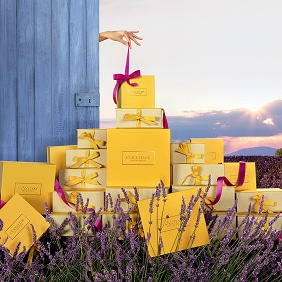 Throughout 40 years of heritage, L’OCCITANE has gathered the most beautiful scents from all over Provence to create many fragrances, each one made with a unique touch. With the collection Les Classiques de L’Occitane, the brand is going back to its roots, resurrecting its iconic scents from the past. Rediscover your favourite fragrance with Amber, Eau des 4 Voleurs, and Eau D’Iparie.